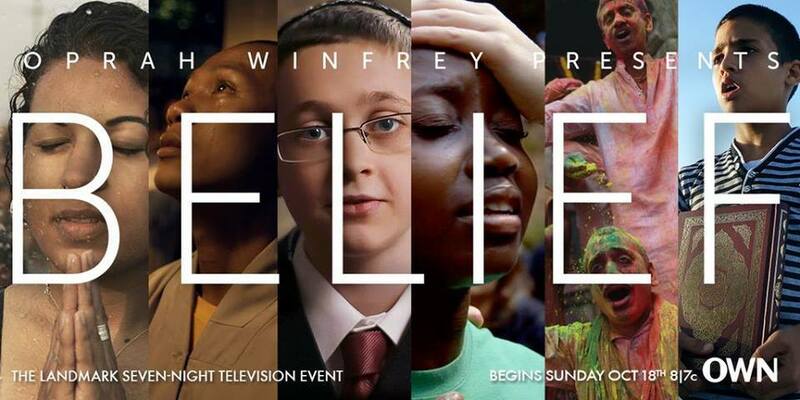 Oprah Winfrey's landmark series 'Belief' has been broadcast in the United States. The second episode, 'Love's Story', concluded with an eight minute segment on Pastor James Wuye and Imam Muhammad Ashafa - who 'come together to reconcile and to honor one of the most sacred teachings at the heart of both their faiths: love your enemies'. The segment contains footage from the documentary The Imam and the Pastor, made by IofC's FLTfilms. Dr Alan Channer, director and producer of The Imam and the Pastor, worked as a consultant with the 'Belief' team. Oprah Winfrey gave a preview of the series at United Nations headquarters, introduced by the President of the General Assembly, Mogens Lykketoft. Newspapers across the United States have carried reviews.